Considered a power food because of its fiber-rich, high-protein content, Amaranth is a grain that we should consider adding to our diets. 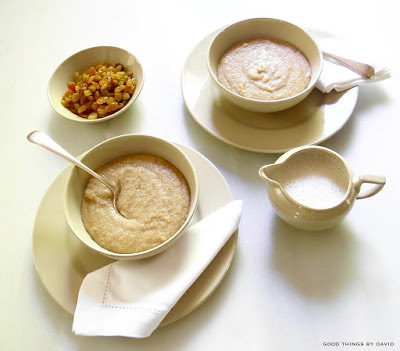 The leafy variety, that I wrote about last year, is highly delicious and very good for you, but it is the grain which makes a tasty, hot cereal for breakfast or for brunch. We just started making it here at home and I am glad it has now become a part of our menu rotation. These small seeds, or 'grains', originated in Mesoamerica and were used for festivities and ceremonies throughout the area before the Spanish conquest. Nowadays only a small amount of the global amaranth supply is grown in this region, with India and Nepal cultivating the bulk of what we purchase in the health food aisle. 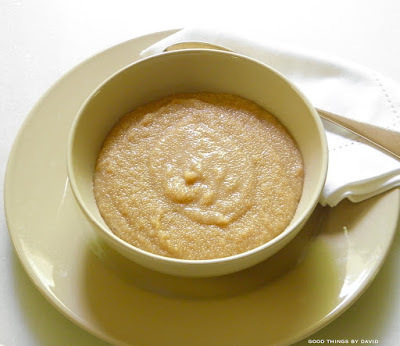 As I said, cooked amaranth seeds are a good source of fiber, protein, manganese, magnesium and iron. 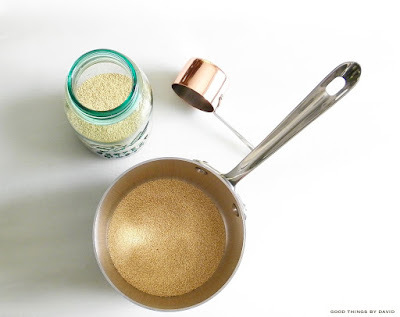 In addition to this, it is naturally gluten-free, but aside from these healthy benefits, one of the things that appeals to me about cooked amaranth is that it has a natural sweetness to it. 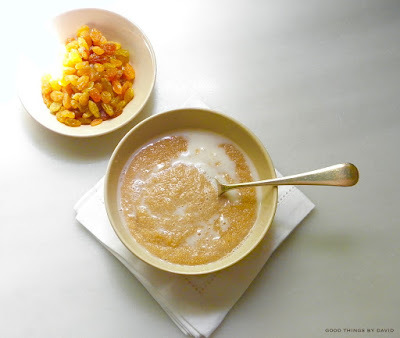 There are times when I feel it doesn't even need any added sweetener, but you can, of course, sweeten this hot cereal with a delicious honey, some pure maple syrup or even agave nectar. It's entirely up to you. This is what I do at home. 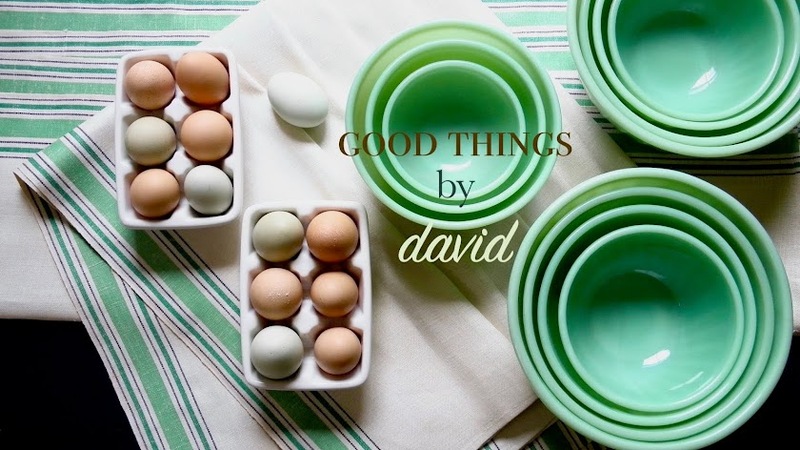 Everything can be customized to taste at the table once you divvy up the cereal to your family. 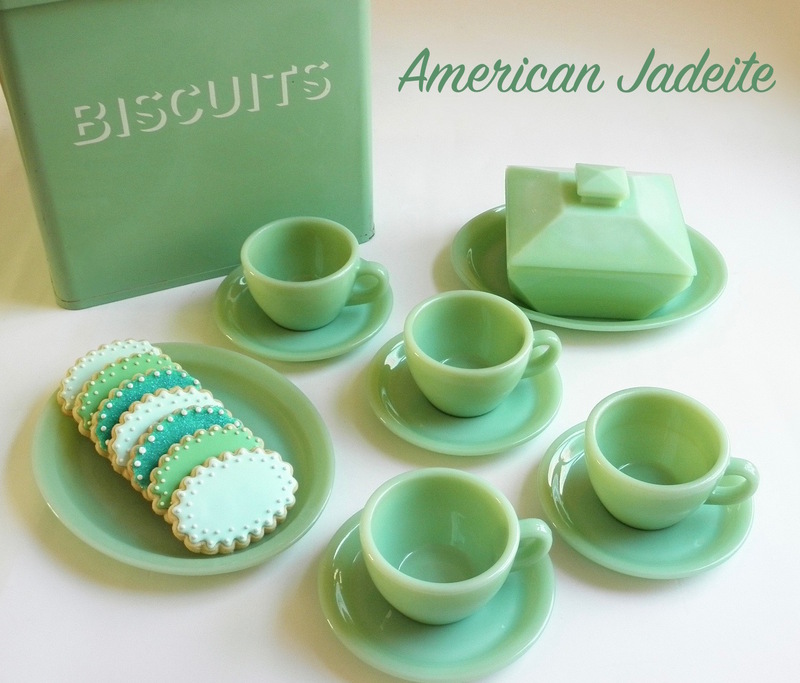 Note: this can be scaled up to serve any amount. In a heavy bottom saucepan with high sides, add the amaranth and the liquid and bring to a low boil. Lower the heat and simmer the amaranth for 20-25 minutes, stirring every 5 minutes or so to prevent sticking or burning. 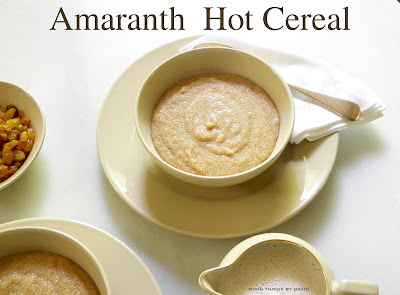 You can feel confident in providing a nutritious breakfast to your family if you make some amaranth hot cereal. There is nothing easier than cooking a pot of it for a weekday breakfast or for a weekend brunch. 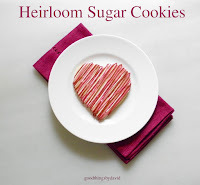 I hope you try some soon and discover this healthy, yet tasty grain. Cheers! Where do you find the Amaranth? I actually think I have garden seeds for amaranth - its a beautiful plant! Sarah, I get mine at a health food store, but it's readily available from Bob's Red Mill online. Go to their website and search under amaranth. It's not expensive. Good luck!